ATP-binding cassette (ABC) transporters are fascinating ATP-powered nanomachines that transport substrate molecules across biological membranes and hence play key roles in, e.g., multidrug resistance and chemotherapy. They are driven by the "chemical energy" stored in ATP, which is released upon ATP hydrolysis and converted into mechanical work that ultimately triggers the large-scale conformational transitions required for substrate transport. The details of this intricate chemo-mechanical coupling remain largely terra incognita. 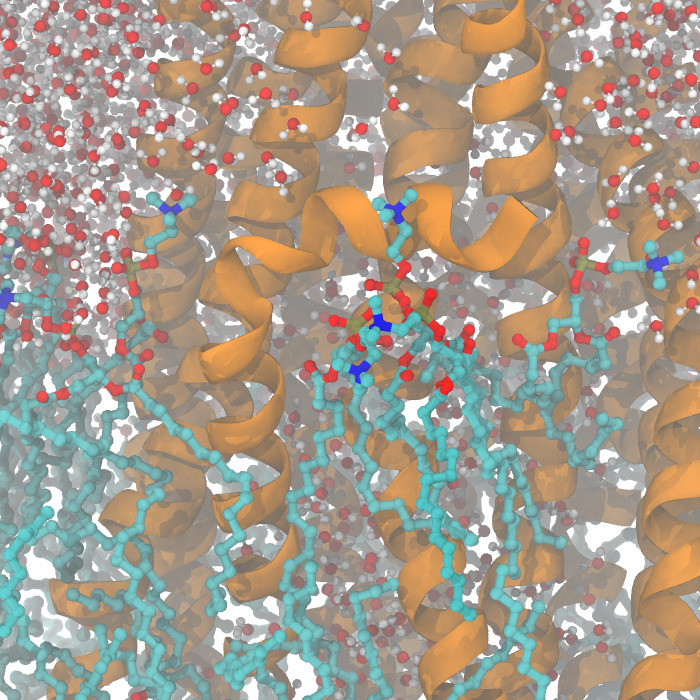 We use force field and QM/MM molecular dynamics simulations to study the working cycle of ABC transporters at the atomic level, in collaboration with experimental partners. Snapshot from MD simulation of the ABC exporter Sav1866.